Sharing is caring, correct? 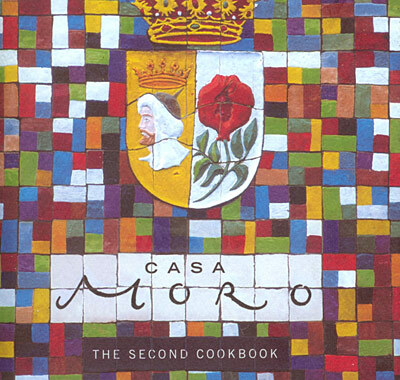 Well how much do I care to be showing and sharing with you this delightful recipe from my Casa Moro cookbook! Newsflash: This recipe is SPANISH! Spreading the wings a little this week. Bream cooked in the oven this way is traditional in Spain for Christmas. I realise it’s not Christmas but what the bloody hell if I have to limit myself from this recipe for only one day of the year! It is easy to make and a treat to it. So get into it! Season the fish well with salt and pepper inside and out, and lightly salt the potatoes. Place the onions, potatoes, tomatoes, garlic and bay leaves in a large mixing bowl. Pour on a good dash of oil, season well with salt and pepper and carefully toss together. Stuff the parsley stalks, lemon and fennel inside the cavity of each fish. Cover the bottom of a very large and roomy roasting tray with half the onions, potatoes and tomatoes, and spread out in a single layer. 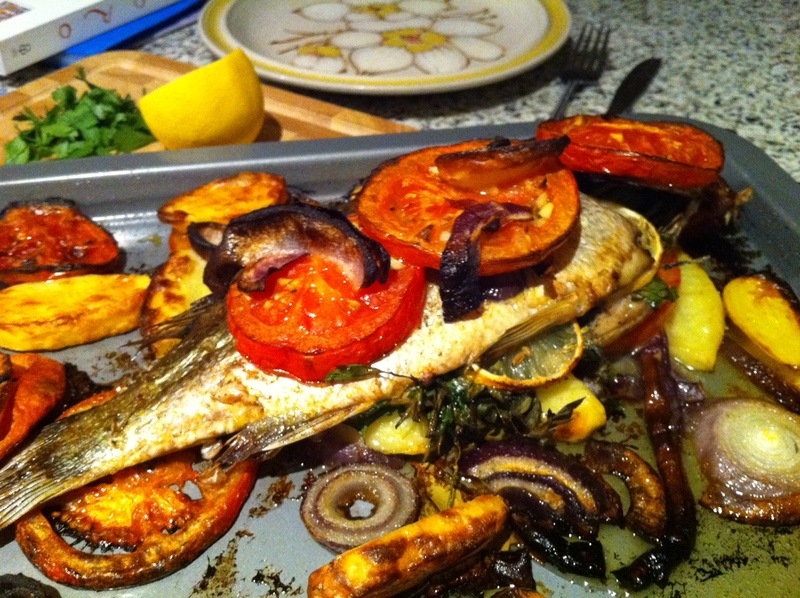 Now place the bream on top, cover with the rest of the vegetables and drizzle on the remaining olive oil. Place in the middle of the hot oven and roast for 35 minutes or until the fish is cooked. 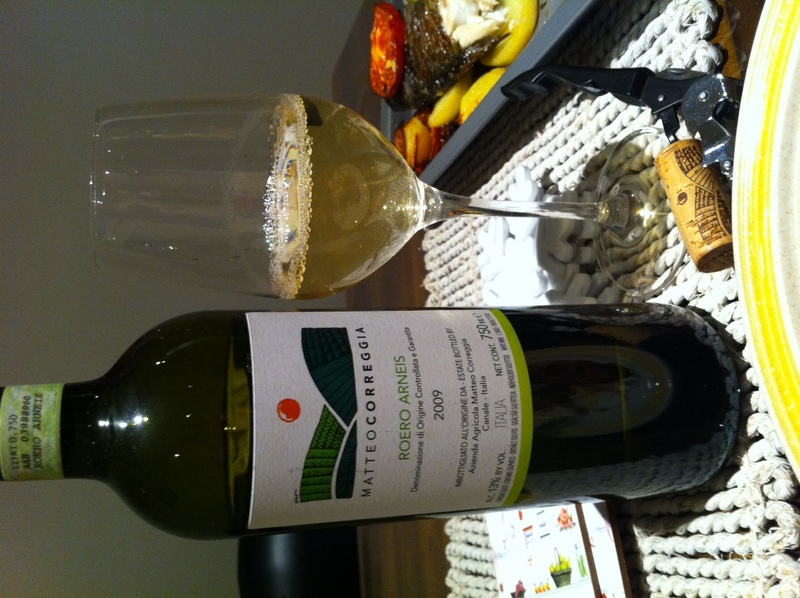 Serve with lemon and chopped parsley on top, with a salad. Pert, but not too racy for the fish. Behind the minerally notes there was a rose-hip, soft quince nose, tasted like a home-made lemon meringue tart, more on the meringue-scope of things though. Really juicy and focused. Still rocking the third night in with Winesave gassed over it.